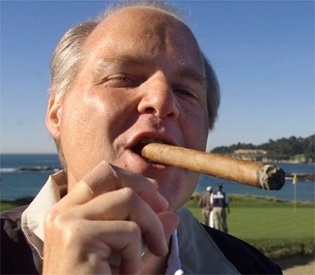 This entry was posted in 2012 Elections, Media, Right wing talk machine, talk radio, The Daily Rush and tagged conspiracy theories, Media, Obama, right wing noise machine, RNC Convention, rush limbaugh, talk radio. Bookmark the permalink. He’s not even worth commenting on. He’ll hang himself soon enough spouting nonsense like this.